It’s a familiar story – we work hard all year keeping our lawns finely manicured and neatly mown but when the heat of the summer arrives, our grass turns brown and seems to die. Is there anything we can do about this? Well, the good news is that there is a lot we can do. 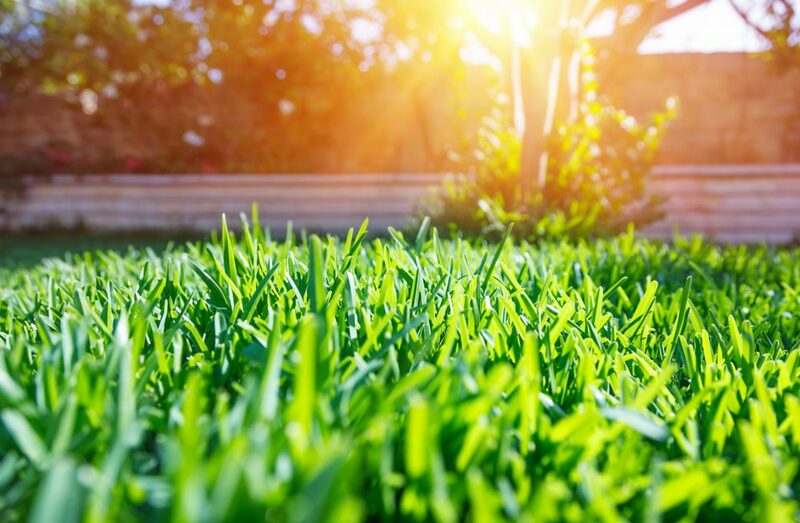 There are quite a few actions we can take throughout the year and especially in the summertime to keep our lawns lush and green – so here, we talk about how to keep lawn green in summer heat. If you want a preview of some the things we’re going to be talking about, check out this video first. 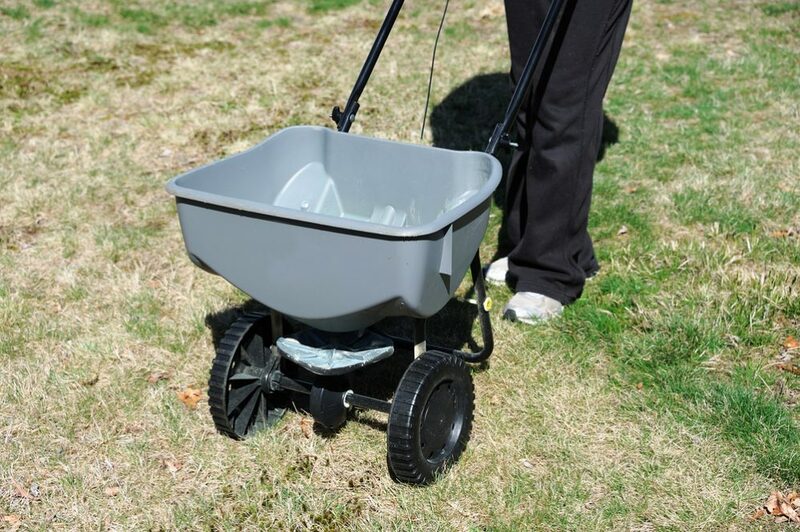 Keeping your grass green year-round is not just about watering – although this certainly plays an important role. The key to having a green lawn in the summer is keeping it as healthy and strong as possible throughout the year. Another point worth making before we continue is that brown grass isn’t necessarily unhealthy grass. In fact, grass that is under heat and drought stress naturally goes into a dormant state and turns brown as a way of protecting itself. You might think that a brown lawn is unattractive – but if your lawn turns brown, it isn’t a reason to panic. Unless conditions become too extreme, your grass will quickly spring back into life as soon as the rains and the cooler temperatures return. 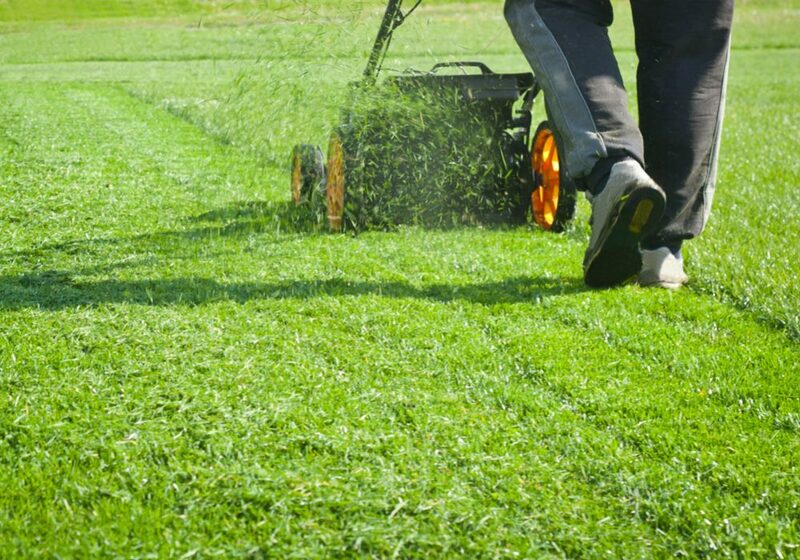 Now let’s look at the most important aspects of keeping your grass green year-round. 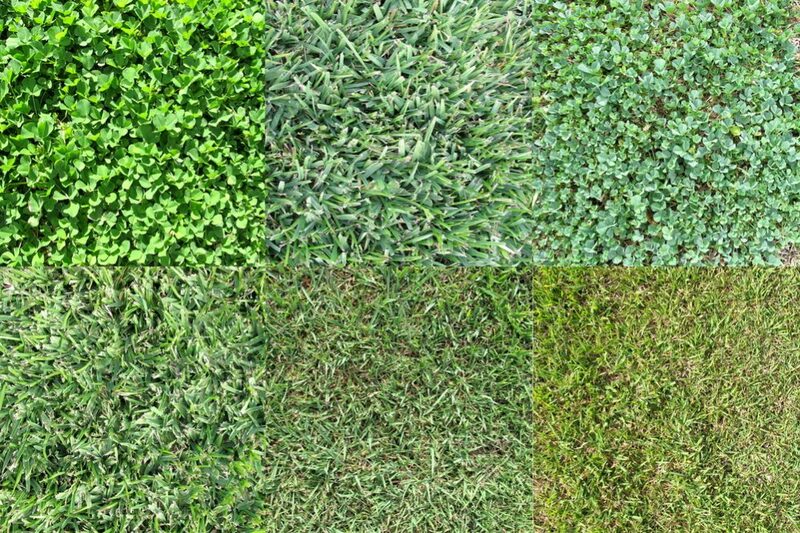 Some people might not realize this, but there are many different types of grass. Some grasses, known as cool-season grasses, do better in cooler, northern latitudes. Conversely, hot-season grasses do better in the warmer south. Cool-season grasses and hot-season grasses have different life cycles. The main growing spurts for cool-season grasses are spring and fall while hot-season grasses grow most in the heat of summer. The important thing to note here is that you should select a grass that is appropriate to your climate. If you have the “wrong” type of grass for your region, it will be much harder to keep your lawn green all year. Watering your grass is obviously important, but it isn’t just as simple as watering more when the weather heats up. When it comes to watering, preparation for the summer months should take place all year since you need to “train” your grass to become hardier. If you water grass too often, it won’t need to send down roots in search of water deeper below the surface. Grass that is watered too often develops a shallow, superficial root system, and when water becomes scarce, it struggles to survive. To encourage deep and healthy root growth, you should water your lawn deeply once a week. This way, when the summer arrives, your grass is already stronger and hardier and better equipped to survive. A watering schedule like this can sometimes be difficult to remember. An excellent solution is to install a sprinkler controller to take care of it for you. Some smart controllers nowadays are even able to adapt the watering schedule to local weather conditions, ensuring your grass receives exactly the optimum amount of water without you having to think about it. 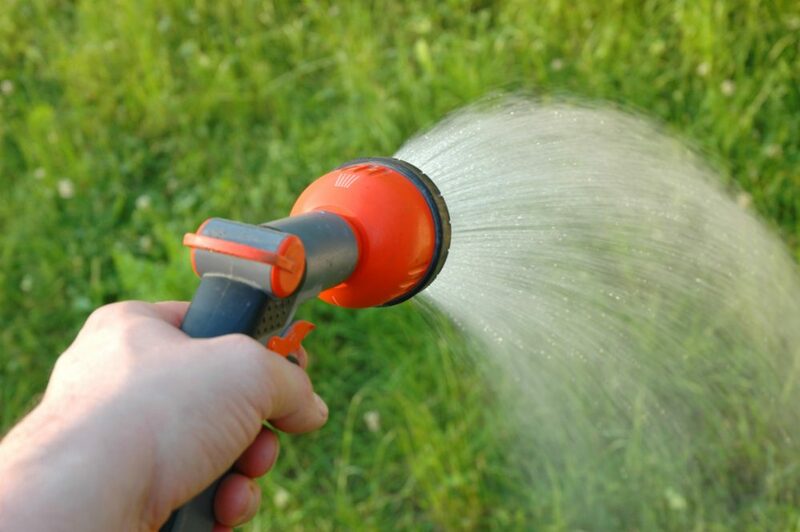 You should water your lawn early in the morning – about 5am is the perfect time. This is because the water that doesn’t penetrate the surface will evaporate off instead of keeping your lawn moist all night. Again, a sprinkler controller is ideal for this. Moist conditions are ideal breeding grounds for fungal infections, and ensuring your lawn is watered but dry will help prevent these kinds of infection from setting in. This, in turn, will help keep your lawn healthy and more able to withstand the heat of the summer. 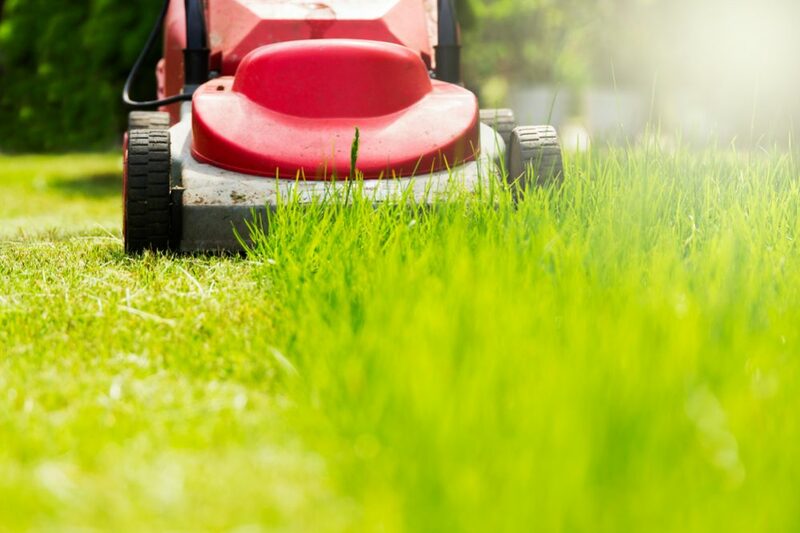 Mowing is a vital part of lawn care – and improper mowing habits are a sure way to turn your grass brown or even kill it completely. Remember that a lawn is made up of thousands of tiny plants, and if you cut them too short, you will seriously damage them. If you want to keep your lawn green all year, never cut it to less than about 3” or 3½”. This will allow it to remain healthy and will also provide more shade for the delicate root system. Furthermore, never cut more than a third of the lawn’s total height at any one time. It’s much better to cut little and often rather than scalp your lawn each time you cut it. 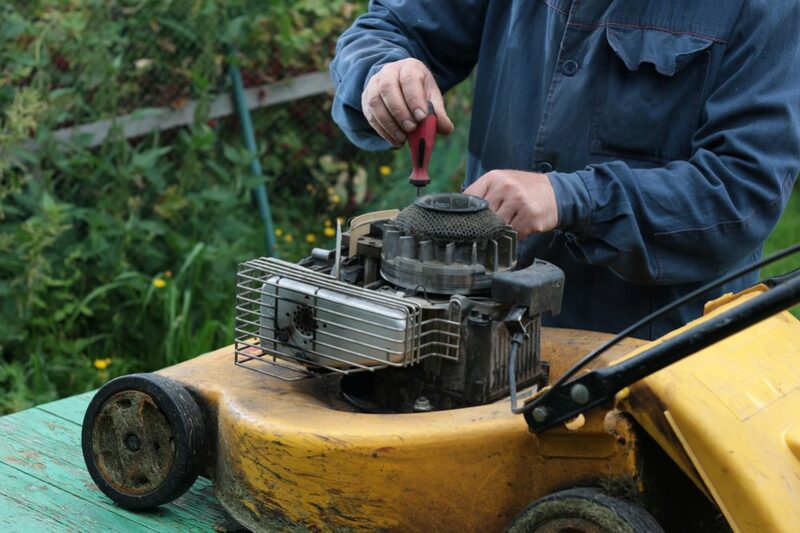 Whether you use a riding lawn mower, a self propelled lawn mower, an electric cordless lawn mower or any other type, it is important to keep it properly maintained. The most important part of this is ensuring blades are kept sharp – blunt blades tear grass rather than cut it, and this will damage the plant, making it more susceptible to browning. Never mow your lawn in the heat of the summer sun – the combination of heat stress and being cut at the same time can seriously damage grass. Mow early in the morning or in the later afternoon. Your lawn also needs regular feeding in order to stay green all year. Most experts recommend feeding your lawn every six to eight weeks. However, sometimes, this can cause the grass to grow to high too fast. To combat this, you should prefer fertilizer with a lower nitrogen content. Grass that is constantly trampled on or is used as a sports pitch is placed under a lot of stress, and during the summer months, this can quickly cause it to turn brown. Even if you usually walk or play on your lawn, it might be better “keep off the grass” in summer. While brown grass is not a problem in itself, you may understandably prefer the look of a lush green lawn year-round. Achieving this is not simply a case of extra watering during the summer months – but as long as you know the steps to take, keeping your grass green even in summer should present no particular problems.